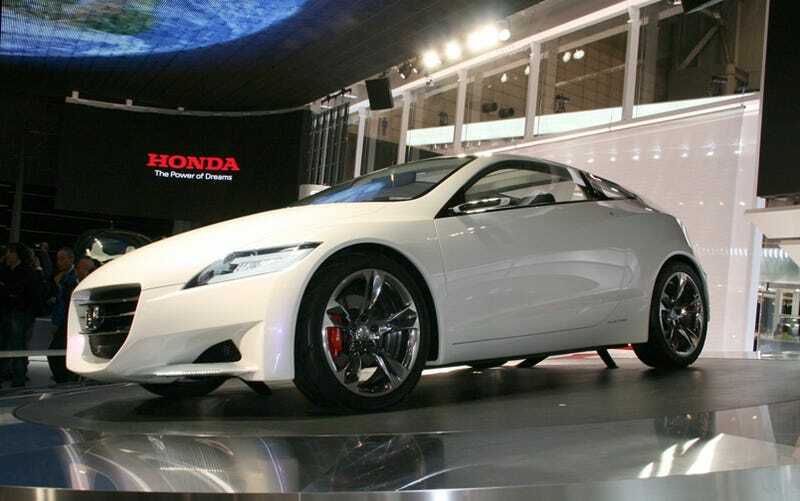 Honda's all-new sporty hybrid will officially be called the Honda CR-Z and will go on sale in the U.S. in 2010. Honda CR-Z Coming To US? Honda sources announced today their decision, confirming a rumor we've previously reported. Details are scarce, but it's safe to assume it will draw some inspiration from the Honda CR-Z concept car, which is a CRX-style three-door hatch, and feature a hybrid system similar to the one found in the current range of Honda hybrids. We're just hoping the "sporty" in "sporty hybrid" extends beyond the bodywork and you know, into the powertrain.